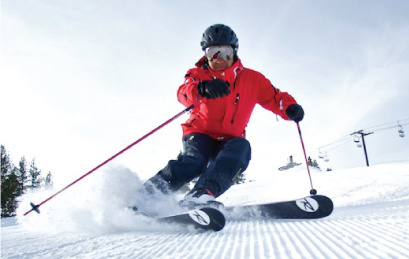 The Dodge Ridge Demo Center carries a wide selection of the latest skis from Volkl, Rossignol, Nordica and Blizzard. Take a few runs, or try them out for a whole day, to find that next pair of Powder, Frontside, or All Mountain Skis your quiver has been missing. The Demo Center also has Nordic and Snowshoe rentals for use on the cross country trails around Dodge Ridge. Come visit us in the lower level of the Creekside Lodge. For the skier who wants it all. These skis can float through powder, carve up corduroy, and everything in between. A variety of shapes and technologies make it easy to find the perfect ski for you. 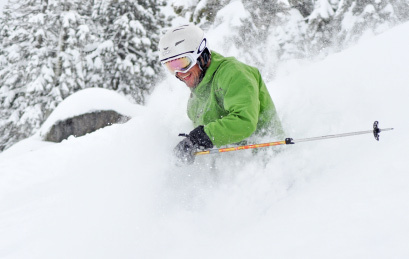 For the skier who lives for powder days and freshies. These fat skis combine rocker technology and wider waists to boost flotation and make for a virtually unsinkable ski. For racing edge hold, knife-like carvability and quick turn initiation nothing beats these skis. Narrower waist widths and performance shaping make it easy to find the ski to deliver the performance and control you want. Please call the Dodge Ridge Sport Shop at (209) 965-3474 for current inventory. We offer Rossignol Nordic skis and Atlas snowshoes in our Demo Center to access over 30 miles of backcountry, cross country skiing and snowshoeing around Dodge Ridge (no lift pass is required). To learn more about the cross country trails visit the Pinecrest Nordic website, please call us at (209) 965-3474 to confirm Nordic Rental inventory and availability details. Check out the Cross Country Skiing Trail Map here to see all of the Forest Service trails available (trails are not managed or maintained by Dodge Ridge).